People will go to some insane lengths to hunt down the bandits of their precious brainchildren. And for good reason! Some cartographers, though, have figured out an easier way of doing things. By including fake river bends, shortcuts, and even entire streets, the mapmakers of the world can beat thieves at their own game. As Atlas Obscura points out, most of the "mistakes" are incredibly minor. 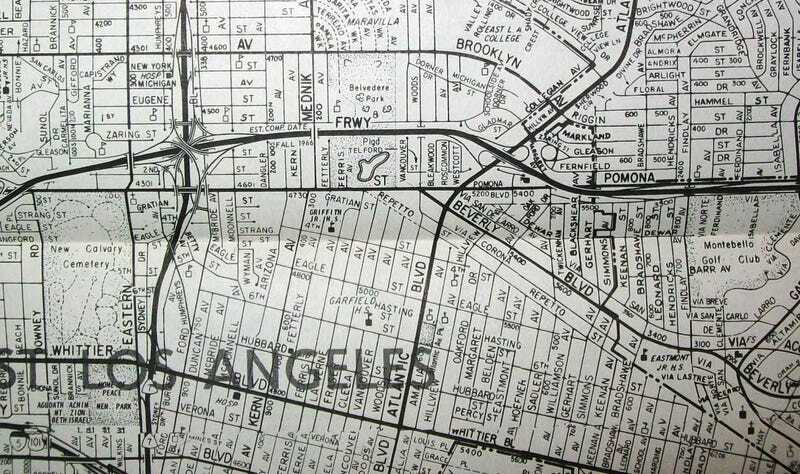 Back before Google Maps ever existed, these made-up additions meant that illegal copies would be immediately recognized, thieves properly embarrassed, and no one else any the wiser. And then the internet entered the picture. Google Maps is actually based on the TeleAtlas Directory which, as luck would have it, supposedly includes quite a few of these creative little tricks. And as recently as 2012, Google Maps and Google Earth were in stark disagreement about the existence of Moat Lane. Online listings showed the town as having jobs, real estate, weather forecasts, and even a single scene. But no one had ever set foot there, because it doesn't exist. Google has since removed the town from their listings, and though many speculate that it was a town-wide version of a trap street, the company wouldn't reveal if its inclusion was a deliberate attempt to catch thieves.